5 Pce. 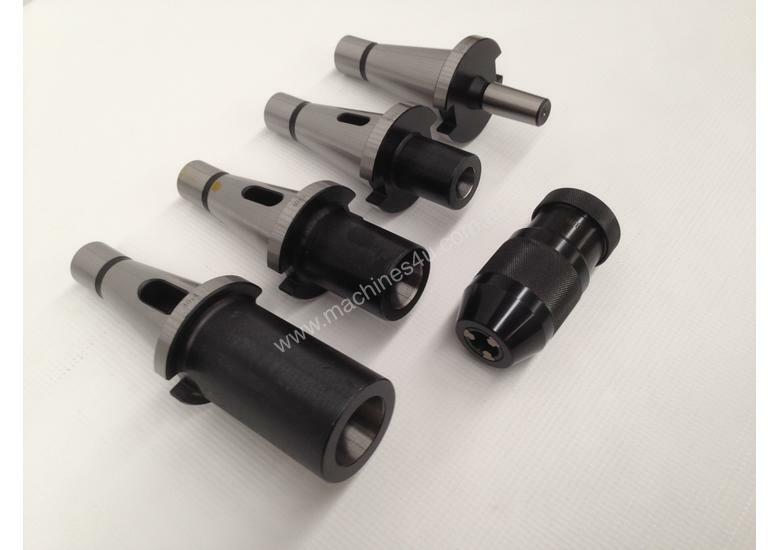 ISO 40 - Drill Chuck, Sleeves & Arbor Set. 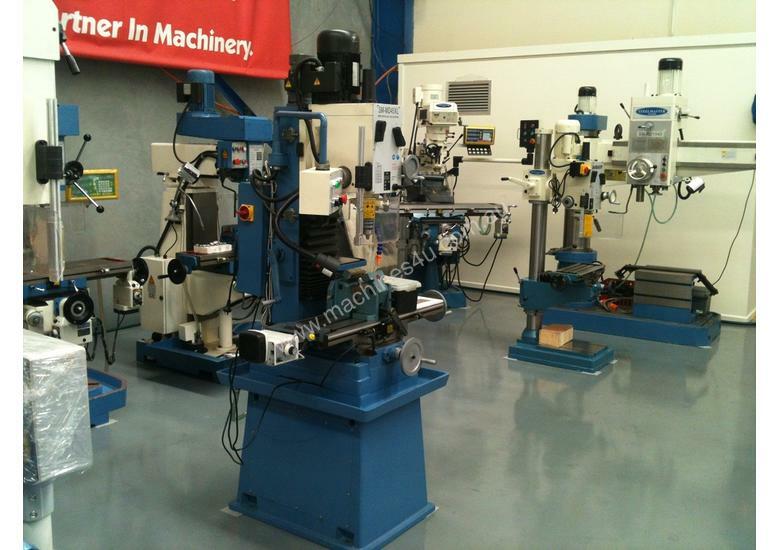 This great set offers and all in one kit for drilling and milling. 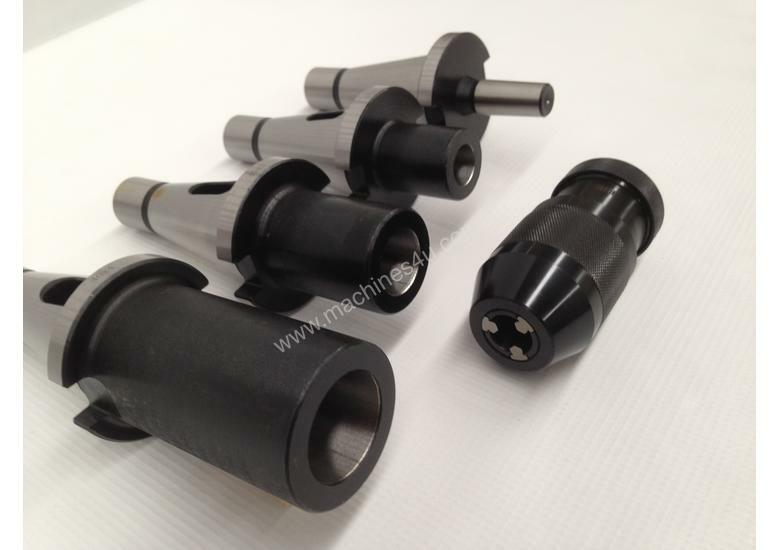 Keyless drill chuck, taper shanks, extension sleeves, reducing sleeves and more. Hardened tangs and precision ground for dependable service. 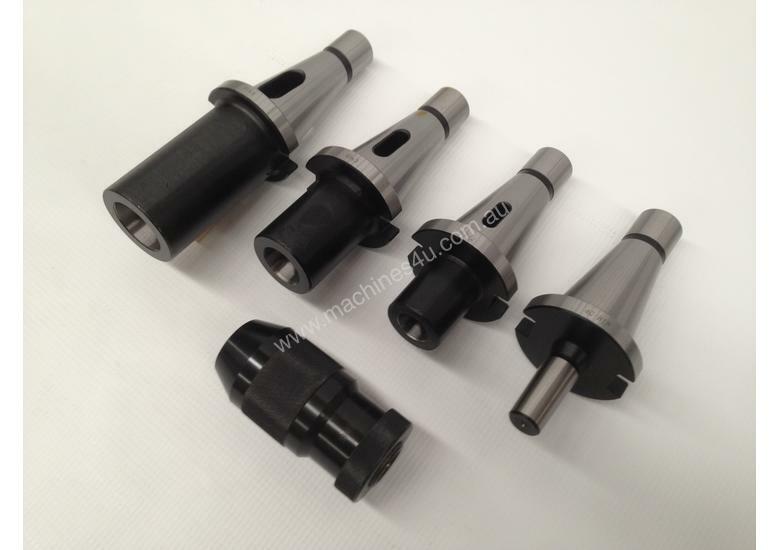 To suit ISO40, ISO40/MT2, ISO40/MT3 & ISO40/MT4 Reducing Sleeves, ISO40/B18 Tool Holder Bit, 3-16mm/B18 Keyless Chuck. - ISO 40 set includes 5 pieces. Jump onto for full current sale prices -Enter SKU in top left corner and Best Price will show. 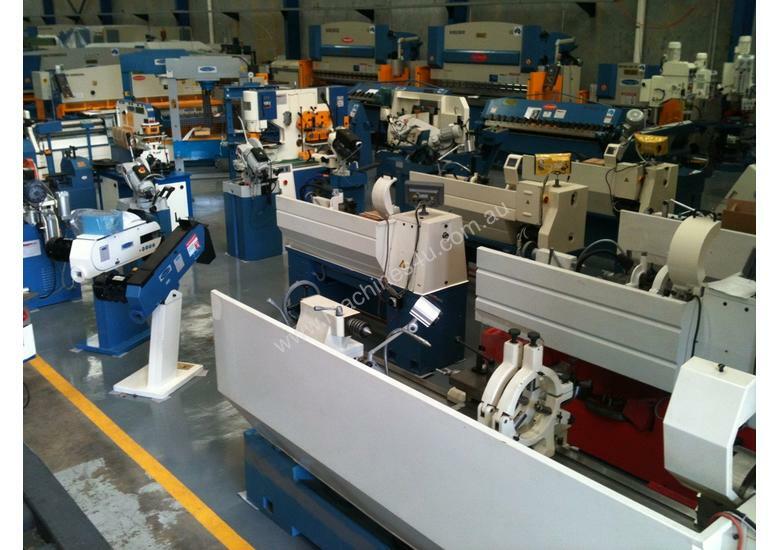 Asset offer shipping Australia wide of all our machine tool accessories and spare parts. IF YOU CAN'T FIND IT HERE - CALL OR US AS WE ARE SURE TO HAVE IT! Drill Sets, Tapping Sets, Mag Base Cutters, Machine & Drill Vices, Countersinking Sets, Reamers, Morse Taper Sleeves, Taper Drifts, Keyless Drill Chucks, Extension Sleeves, Morse Taper Shanks, Assorted Engineering Vices, Box Tables, Compound Tables, ISO, INT & MT Collet sets, End Mills, Slot Drills, Carbide Cutters, Woodruff Sets, Clamping Kits, Boring Heads, Keyway Broach Sets, Dividing Heads, Rotary Tables - and much much more Engineering and Metalworking Parts & Accessories Ready For Shipping. 7 Pce. 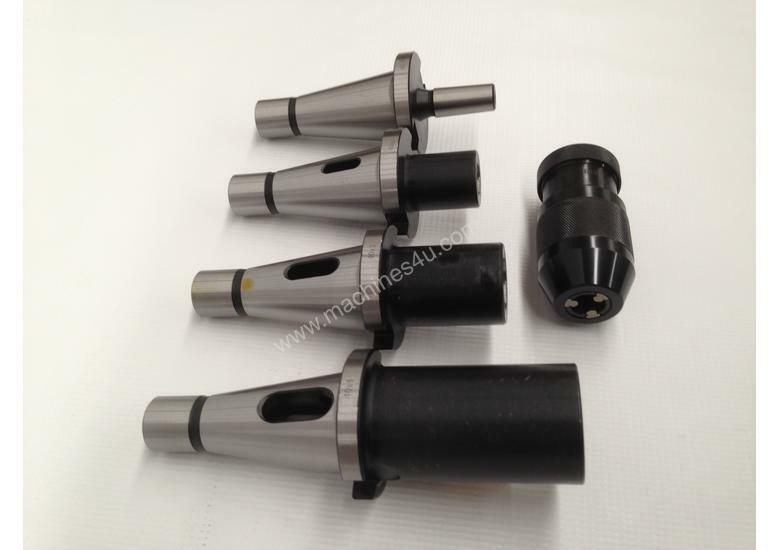 MT3 - Drill Chuck, Sleeves & Arbor Set. 8 Pce. 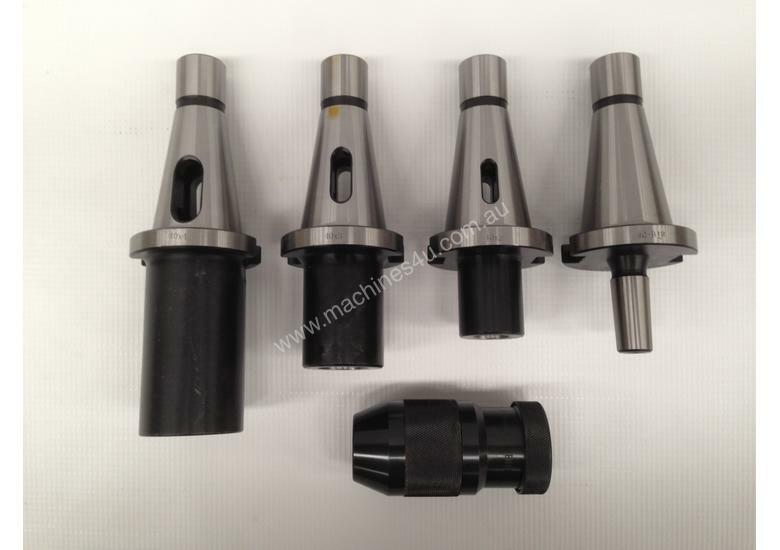 MT4 - Drill Chuck, Sleeves & Arbor Set.